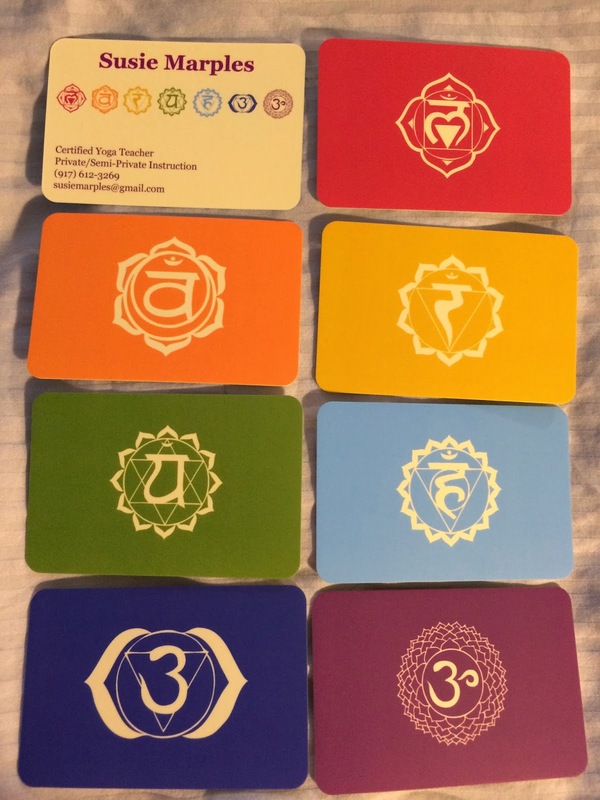 I love my chakra business cards! They're beautiful. Had such a great time in your class! Oh wow - I have been wondering when I started taking your yoga class - so now I know it was in June (or even before?) I have been wondering because I have attributed so much personal growth to the class but couldn't remember when I began as I was trying to trace and track different habits and practices.